Welcome to Music City Downtown Hideaway! Get ready to immerse yourself in this JUST REMODELED Luxury Home. You will never want to leave! Are you ready to experience two of the most exciting areas of Music City all at once? 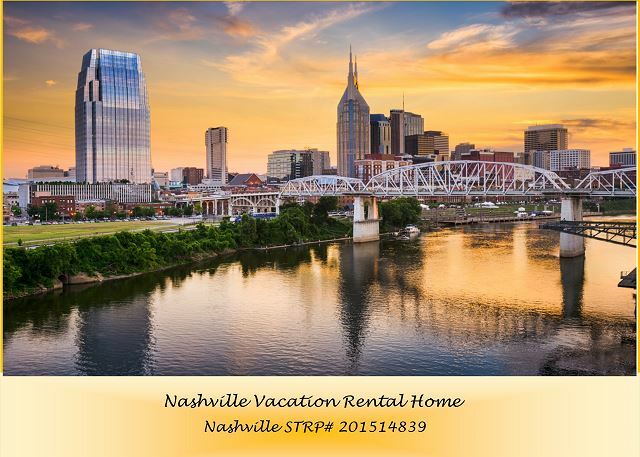 Downtown Nashville AND Lower Broadway go hand in hand with Playlist Properties style! 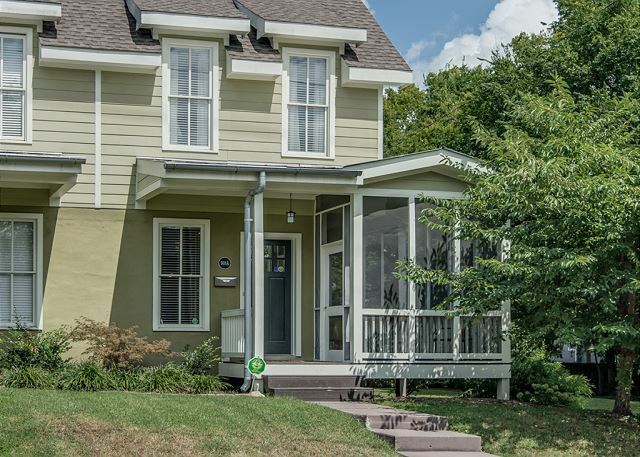 Relax and enjoy quaint surroundings of this vacation home where you can walk to cafes, dining, Farmers Market, shopping; then you can stroll, bike, or Lyft/Uber over to the Honky-Tonks, museums, live music and more on Lower Broadway! You can't beat this location; it's where relaxation meets the music. With its open floor plan, this is the perfect space for up to 10 guests! The main floor is wide open with a great flow for socializing and entertaining. Enter the main room with a comfy sofa, flat screen smart TV with cable, beautiful bamboo floors and contemporary dining. Then flow right into the spacious kitchen w/ 12 cup coffee brewer, stainless steel appliances & granite counter tops. Continue to flow right into the Lounge with more comfortable seating, fireplace another SMART flat screen TV, a fireplace, and french doors to the small fenced-in back yard. And just off the kitchen is a HUGE, breezy screened side porch for enjoying a bug-free outdoor dinner & relaxing between explorations of Music City! The back deck also has an outdoor grill. 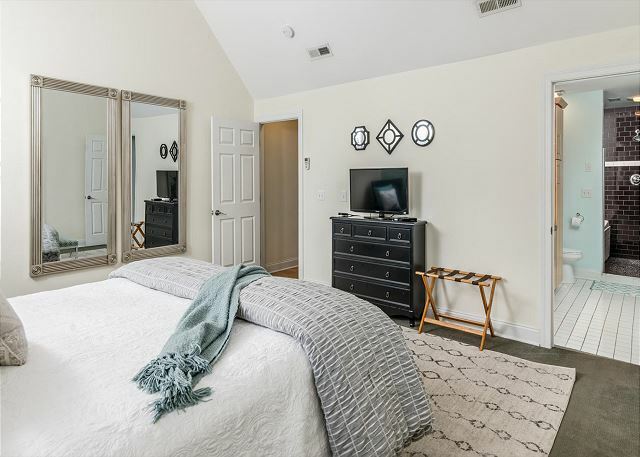 This vacation rental home is nestled on Jackson Street, among some beautiful historic Downtown Nashville homes; within walking distance to The Farmers Market, Bicentennial Park & the Entertainment District of Downtown Nashville! All this and it's only a quick three minute/$5 Uber ride back from a late-night out in the Honky-Tonks! We had a great trip. The home was clean and beautiful and ready for us when we arrived! Very comfortable. Very convenient to all Nashville has to offer. Can't wait to return! Manager Response: Cassie, thank you for taking out time to write us such a kind review. It's always nice to hear from a guest that a property was clean, beautiful and comfortable. 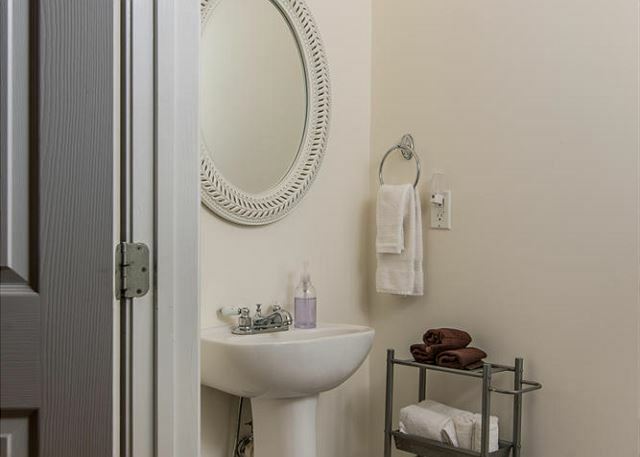 It is our goal to provide a "home away from home" experience. We look forward to your return visit. We had a wonderful time in Nashville and at the house. The beds were SO comfortable! The one thing that was unexpected was there were were no spices or cleaning items (salt, pepper, broom, vacuum) that we could find. Nor was there anything to listen to music, which seemed strange for a place in "Music City". It would have been nice to at least have salt and pepper available and make some matches for the candles. Not having these items certainly didn't ruin our stay, they're just nice to have type things. Overall, we loved the property and coming and going was so easy! Manager Response: Thanks for the great review. The location of the house is so great. Please come back and stay with us again! Amazing place! Great location! Amenities were awesome! Would stay here again if coming to Nashville. Couldn't have had a better place to stay. We absolutely loved all of the decor and furnishings. The beds were so comfortable. Our favorite space was probably the screened in porch and the back deck. There is plenty of different areas within the home for socializing for everyone in one area or a few people in many places. The location was great and quiet and a very affordable uber drive to downtown. An adorable place in a convenient location for our group of girls! Loved our stay! We loved this property. We had a group of ladies for a long weekend and we all loved the property. Great location close to downtown. Super cute decor, comfy beds, and space that makes sense. We spent a lot of time in the covered porch. The are is up and coming, a little sketchy a few blocks away but we never felt unsafe. Air conditioner upstairs was broken but Playlist Properties was quick to get someone over to fix it. I would highly recommend this property! Manager Response: Thank you for your great review and recommending Music City Downtown Hideaway, Julie! Playlist Properties takes pride in providing great service to our guests. We are happy to know that you loved the property and felt comfortable! Cheers! This shabby chic home was even better than advertised. It was fresh, clean, open floor plan was great for our group. The screened porch & backyard space was bonus. I'd totally stay here & recommend it to all.